ESPN NEXT – A prototype of the future of watching live sports for millennials, by millennials. This project is a research project about the future of live sport consumption. I worked for ESPN in collaboration with Parsons and NYC Media Lab. We designed an interactive live feed viewing experience to create a deeper engagement with ESPN contents. ESPN NEXT from Enrica Be on Vimeo. ESPN was looking for possible ways to connect with the next generation of sports fans, with particular attention to millennials. (3) developing ways to consume content online, with attention to live data, polling, and community activity. watching live sports look like? Over the course of 8 weeks,we conducted field research on millennial online behaviors and explored existing literature on current platforms and trends. 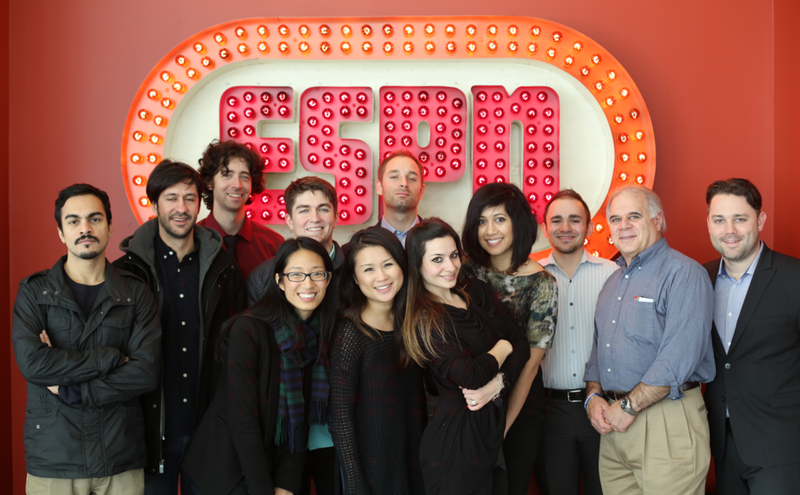 ESPN executives met with a group of faculty and students from Parsons The New School for Design for a brainstorm to explore existing products, available research, API capabilities, and potential design opportunities. Of these students, eight were recruited to participate in the project through its completion, led by assistant professor Nick Fortugno. 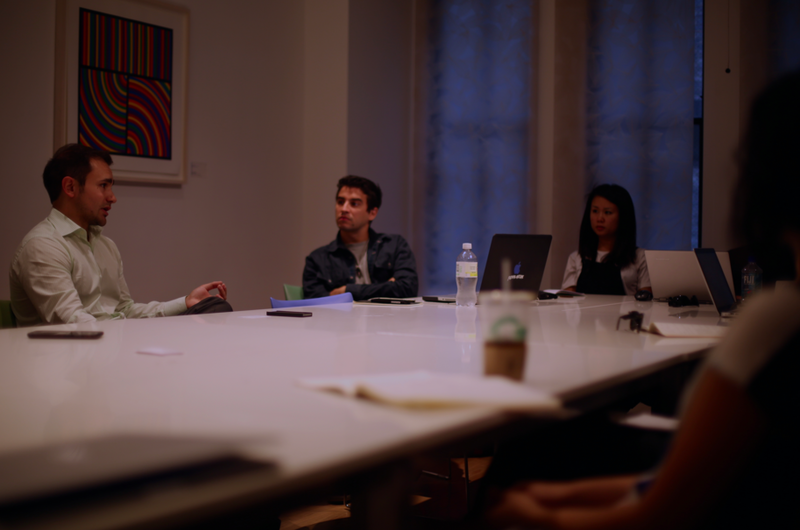 Based on the takeaways from the discovery phase, the Parsons team began to develop initial concepts for the project. Through discussion and playtesting of paper prototypes, the team proposed a menu of three possible project ideas. The idea that most interested ESPN: a product exploring the future of the live viewing experience. The team pursued a range of methods to better understand millennial habits and preferences; research techniques encompassed in-person interviews, fi eld research, and examining existing literature. Based on their fi ndings, they began to design the product, beginning with wireframes and a list of possible features. With the design and features list in place, the team began to develop a prototype of the product for tablets. ESPN’s Chris Jason connected with the team periodically to review the workin- progress mockups and to provide feedback. The seed project concluded with a final group presentation and facility tour at ESPN’s headquarters in Bristol, Connecticut. Ten executives from ESPN joined for the project presentation, which sparked a discussion about possible new features and areas to explore.